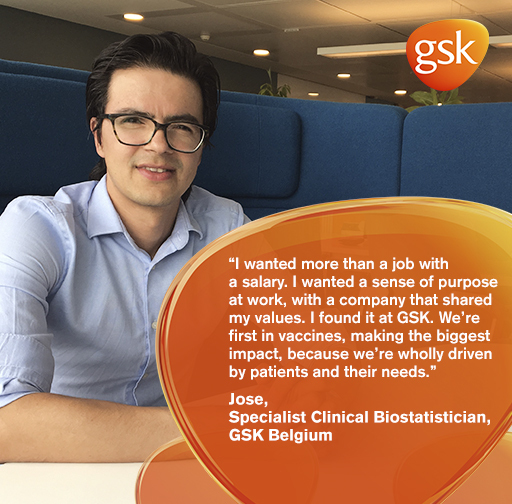 To strengthen our IT team supporting sales and distribution within GSK Vaccines, we are looking for an IT Project Manager. In this role, you will be using your background knowledge in SAP ECC to ensure the continuing compliance of GSK Vaccines with the serialization regulations. 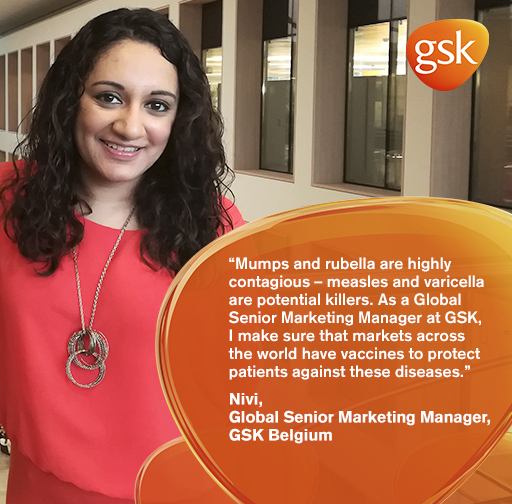 You will fully take part in the digital and agile transformation of GSK Vaccines. Participate in the elaboration of the GSK Vaccines roadmap for serialization aligned with IT and Business strategy. Support and implement IT projects related to serialization prioritized in the roadmap. Build up your internal and external network to keep up to date on trends in (pharma) industry. Investigate on innovative solutions provided by external suppliers and evaluate how GSK Vaccines could benefit from them. Master Degree in Life Sciences, Civil Engineer, Industrial Engineer or Commercial engineer. 5+ years’ experience in project management. Good knowledge and previous experience in business processes related to serialization. In-depth understanding of at least 3 SAP modules amongst which sales and distribution. Strong interpersonal skills; able to communicate effectively and directly with stakeholders, using the most appropriate communication channels and adapting information and style to the audience. Understanding of several complex business processes and their reengineering challenges. Fluent in French and English (oral and written). Previous experience in pharmaceutical or life science industry. Knowledge and usage of Agile/Scrum methodology in project management. Experience with implementation of latest technology in mobile applications, Internet of Things or advanced analytics. Ready to travel on an occasional basis. If you require a reasonable adjustment to the application/selection process to enable you to demonstrate your ability to perform the job requirements you will have the opportunity to let us know what specific assistance you require. This will help us to make suitable arrangements to support you throughout our selection process. GSK is a science-led global healthcare company with a special purpose: to help people do more, feel better, live longer.We have 3 global businesses that research, develop and manufacture innovative pharmaceutical medicines, vaccines and consumer healthcare products. Vaccines – Our Vaccines business has a broad portfolio and innovative pipeline of vaccines to protect people of all ages. We deliver over two million vaccine doses per day to people living in over 160 countries. For further information, please visit www.gsk.com. Vaccines TECH has the remit to transform how new technologies are used to improve performance across Vaccines. Vaccines TECH is accountable for the design, implementation and support of GSK vaccines digital, data and analytics solutions. Vaccines TECH works with a wide range of partners from inside and outside the healthcare sector to bring new technologies to GSK, enhancing areas such as clinical trials and drug development; improving how we interact with healthcare professionals, customers and consumers; and making internal processes more efficient. At GSK we provide a supportive working environment, and a range of development challenges and opportunities. We also offer competitive benefits and compensation packages designed to attract and to retain the very best. Who We Are GSK is a science-led global healthcare company with a mission: we want to help people to do more, feel better, live longer. GSK researches and develops a broad range of innovative products in three primary areas of Pharmaceuticals, Vaccines and Consumer Healthcare. We ask each of our 10,000 employees working in Belgium to share our mission and values and to think about how they can help all those people who rely on our products. For that reason, every day our 1,800 scientists search for new ways to improve the treatment of diseases and illnesses. And that is why we have been pioneering new solutions allowing us to make our products available to those who need them, wherever they live and whatever their ability to pay. We also have a significant global presence with commercial operations in more than 150 countries, a network of 84 manufacturing sites in 36 countries and large R&D centres in the UK, USA, Spain, Belgium and China. 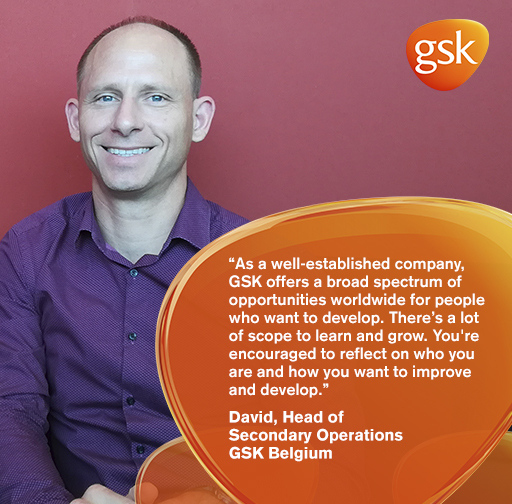 Working at GSK: Our people are essential to our success. We focus on building their capabilities, and aim to support and empower them to be the best they can be. As a science-led, global healthcare business with clear values, we offer countless opportunities for people at various stages of their careers. On-the-job learning and rewarding individual contributions are extremely important to us. We believe in creating an inclusive and safe working environment and supporting our employees to help their communities.